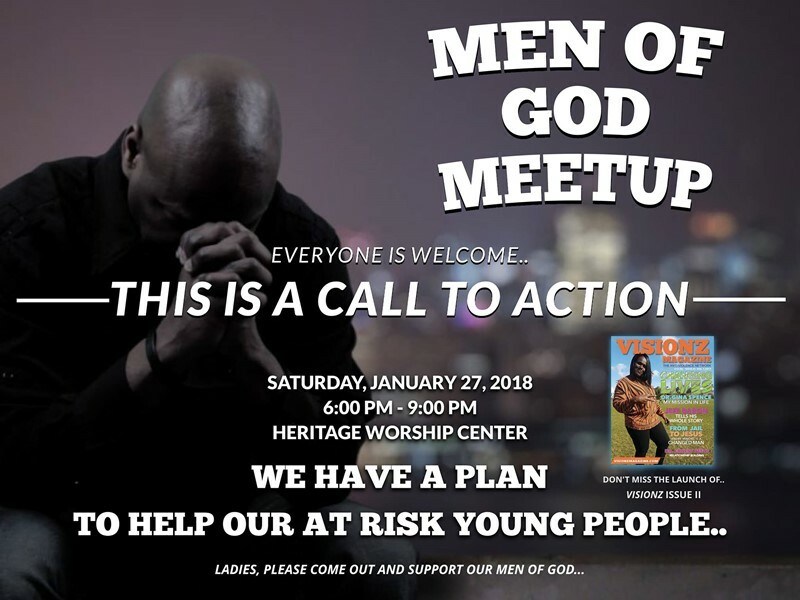 YouthVision Promotions is getting set to present a “Men of God meet up” aimed at spreading a message of anti-violence at the Heritage Worship Center on Saturday, January 27 from 6.00pm to 9.00pm. The event will feature speakers including Ernest Peets, Daron Lowe, Nicholas Tweed, Andre Minors, LLoyd Duncan, Thomas Smith, Clarke Minors, and more. 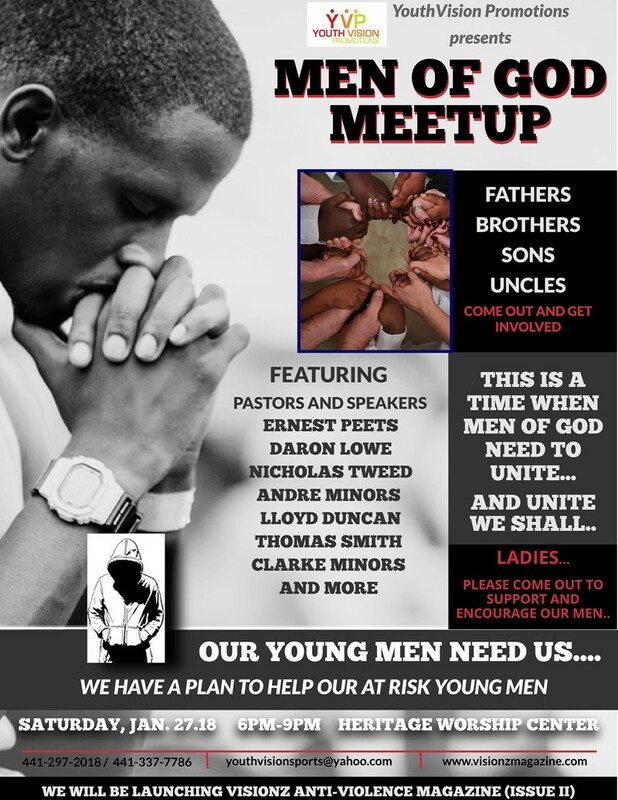 Desmond Crockwell said, “The focus of our event is to build a network of men to be mentors to at risk young men in their parish/neighborhood. We believe that relationship-building is key to helping our young men, and we invite anyone who wishes to help to be a part of our event. “We have a plan to network our men with those who need them..